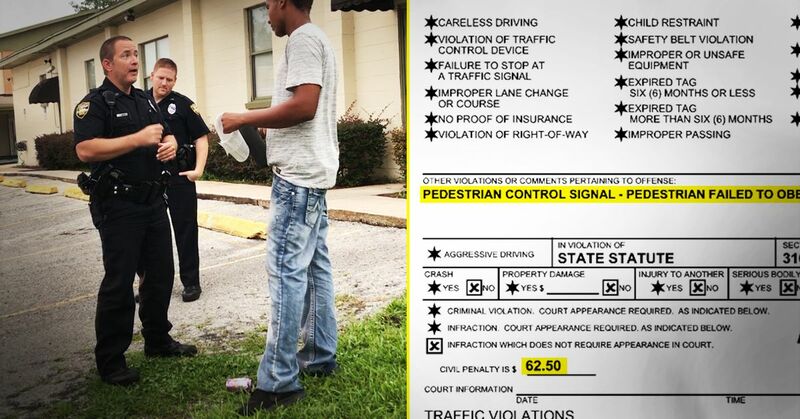 A ProPublica investigation examines the concerning enforcement of Jacksonville pedestrian laws. Interesting commentary from a conservative smart enough not to throw in with Trump and the alt-right. Of course. To the corrupt billionaires that are and fund the Trump administration and other major Republicans (and some Democrats), countries no longer matter. Putin and Russian oligarchs are just other members in the corrupt billionaires club, manipulating the world to a new feudalism where the rich are above the laws, and little things like constitutions, rights, and the rule of law are not an issue. 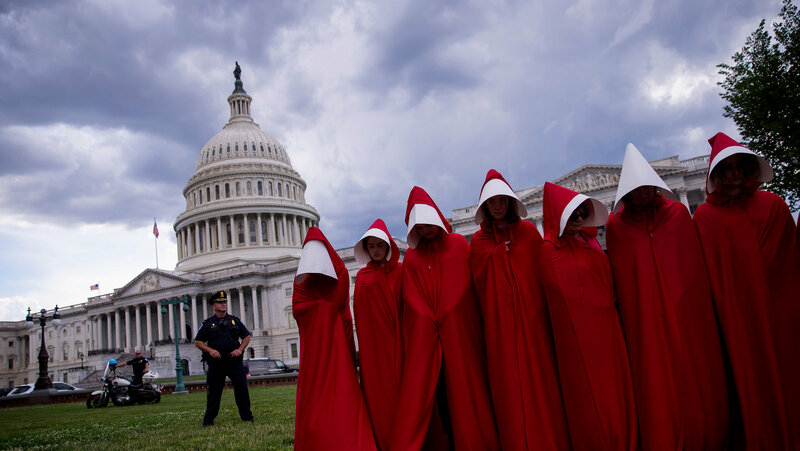 An excellent article and a great picture, but it misses a key point: the illogical combination of being anti-abortion and anti-contraception is not merely to domain of religious extremists. It is also part of the broader conservative ideology because it is about controlling female sexuality. Antifa – a contraction of “anti-fascist” – is consistently and unfairly equated with the violent racists they fight. Conservatives are regularly call Antifa “fascist”. The ironic comparison is ludicrous and manipulative. 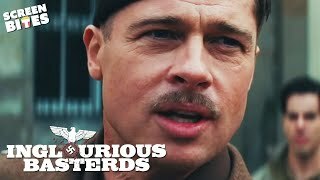 If Inglorious Bastards or Django Unchained were released today, there would be a wave of alt-right apologists complaining the films were offensive to Nazis and white supremacists. Fox News would echo them. Trump would join in on Twitter. Conservatives would start standing up for the poor mistreated Nazis. When did these Nazis and slavers become anything other than something to fight and disdain? We fought wars to defeat each of them. We won. We were proud. We fought them because they were the enemies of freedom, and because they hurt and killed innocent people. Nothing has changed. Nazis and wannabe-Confederates should be opposed at every turn. It is not a liberal or conservative issue. It is not a fight between Nazis and the imagined alt-left. It is a conflict Nazis and everyone else. There is no "alt-left'. 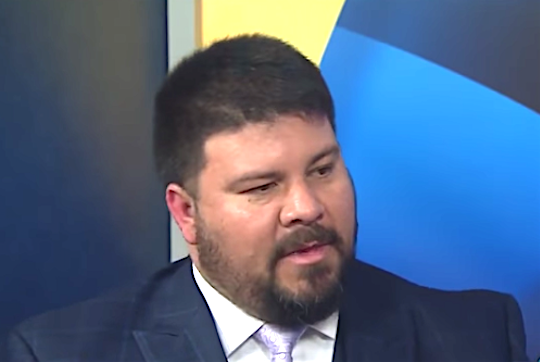 The term is a fabrication of conservatives to make alt-right Nazi extremists more palatable, by inventing an imaginary group of equivalent extremists on the left. Several anti-protest bills would limit motorists' liability if they injure or even kill protesters. This is not a coincidence. All in all, seventeen states have had some sort of a proposal like these. I am not saying it is a conspiracy, but it is a series of overlapping acts of malice, designed to intimidate and punish liberal protesters. Moderates are being convinced that liberals are as divisive and negative as conservatives. When did standing against injustice become the same as standing for injustice? It is manipulation from the right, and if we let it silence us, it will only get worse. Police apologists are applying the same fundamental — and harmful — logic to Mohamed Noor’s killing of Justine Damond. Average Americans haven’t been able to get behind the Black Lives Matter movement, no matter how many innocent black men have died unnecessarily at the hands of the police. 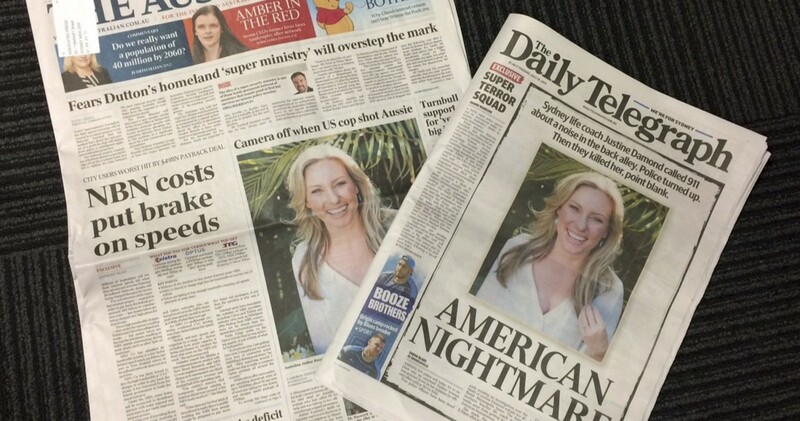 Maybe, Justine Damond’s tragic killing by Minneapolis police will finally get the reaction so many others have deserved. But let’s remember first that Justine was a human being, like Philando Castile and Tamir Rice. She and her family deserve justice. Hopefully, fighting for that justice will help prevent other deaths, but let’s not lose our own humanity in the process. We should defend Western Civilization's best achievements. Let us start with something obvious from which we all benefit: Let us defend science, says blogger Adam Frank. The policy had the opposite of its intended effect. Money has always corrupted politics, but what we are seeing now is something new and more insidious. Ineptitude or revenge doxing? The White House releases all personal details from emails commenting about the voter fraud commission plans to release personal information? As almost all comments where negative about the administration's plans, I tend to believe this was an attempt to punish dissent, not just sloppiness. Some branches of evangelical Christianity give a moral free pass to anyone who is born again, and this explains a lot about how “un-Christian” and vicious their actions and policies can seem. Less than a conspiracy and more than a coincidence, groups marketing hate and violence are becoming more common and more accepted, and conservative groups are flirting with turning anti-government militias into a sort of modern day Brownshirts. Liberals need to stop apologizing for standing up for social justice, to stop calling others the conservative insult SJW, and say proudly that standing up for the rights of all people is good and necessary, despite all the propaganda against social justice. It seems like the Republican answer to the flaws in our two-party system is to try to turn it into a one-party system. This isn’t an attempt to defend Carter’s Presidency. He may be my favorite ex-President, but he was not a good President. Neither is this about the good he has done since he left the Presidency. The lesson is in the misconception of why Carter was a weak President. Discrimination is on the rise, and infighting and complacency of equality proponents is making things worse. Genius move or stupidity? Obviously, there is no fear of anyone implementing Sharia law in the U.S., but what do you do? Counter-protest their Islamophobia? But no one wants to stand up for Sharia law? Well played, conservative nut jobs. Well played. If Trump is good for one thing, it is perspective. I never thought I would say, "We didn't know how good we had it with Bush II". Bush abused the legal system and checks and balances, but he acknowledged them. Bush crapped on the Constitution repeatedly, but he didn't ignore it or argue against it. --Execution Time: 4/20/2019 5:39:21 AM - 4/20/2019 5:39:21 AM = 0.0937585 sec. --Execution Time: 4/20/2019 5:39:21 AM - 4/20/2019 5:39:21 AM = 0.0781297 sec. --Execution Time: 4/20/2019 5:39:21 AM - 4/20/2019 5:39:21 AM = 0.0781251 sec. --Execution Time: 4/20/2019 5:39:21 AM - 4/20/2019 5:39:21 AM = 0.0781188 sec.